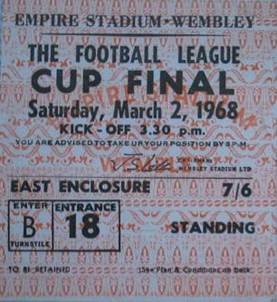 Date: Saturday, 2nd March 1968. 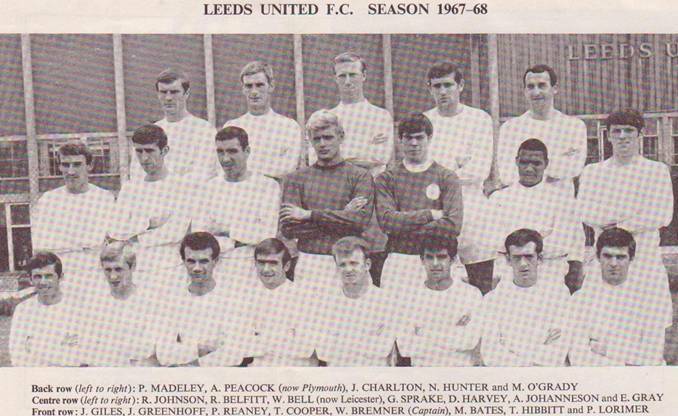 Scorers: Leeds United: Cooper. 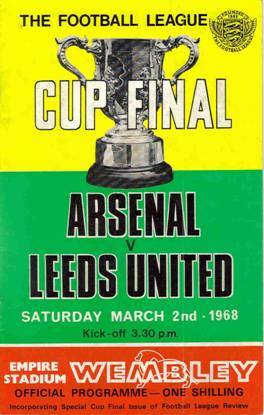 Arsenal: Nil. 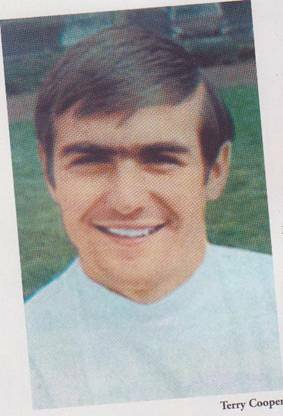 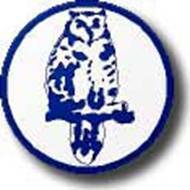 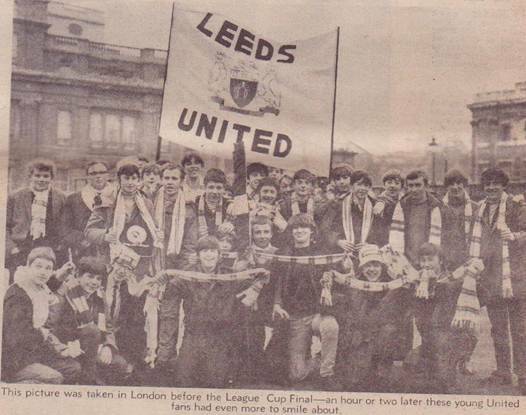 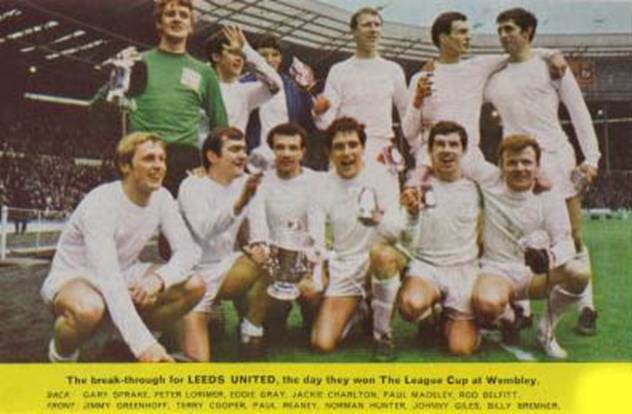 Leeds United: Sprake; Reaney, Cooper; Bremner, Charlton, Hunter; Greenhoff, Lorimer, Madeley, Giles, Gray (Belfitt). 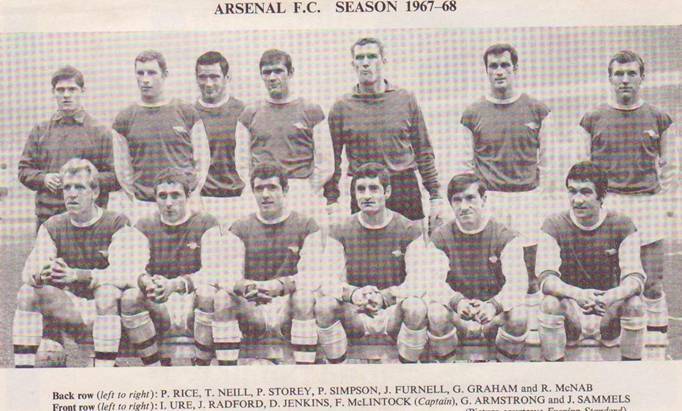 Arsenal: Furnell; Storey, McNab; McLintock, Ure, Simpson; Radford, Jenkins (Neill), Graham, Sammels, Armstrong. 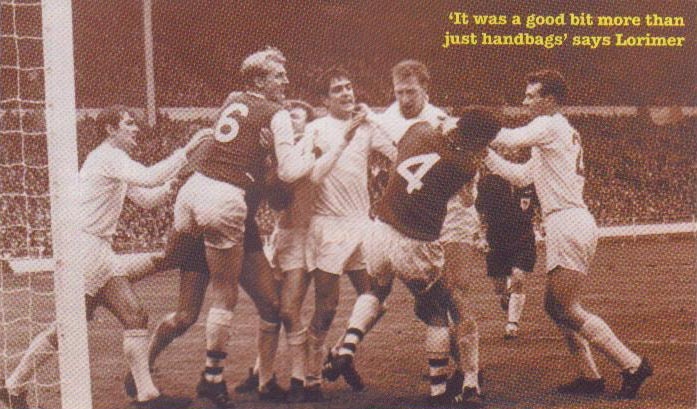 Referee: Mr L.J. 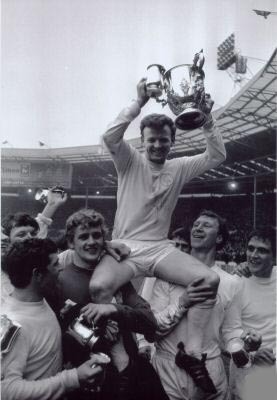 Hamer (Horwich, Nr Bolton, Lancashire). 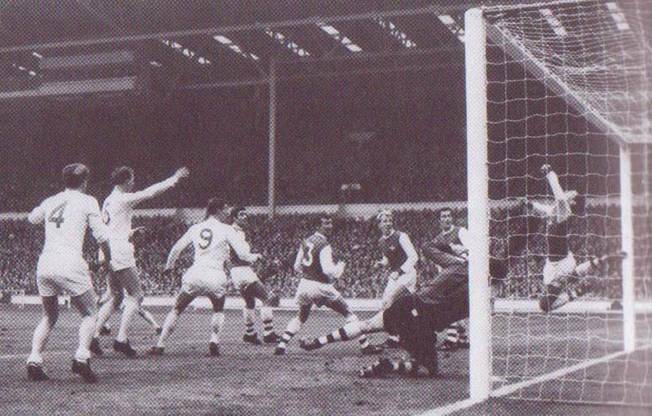 Eddie Gray curled in a wicked corner which Arsenal centre-forward George Graham headed away from under the crossbar to the edge of the penalty area where Cooper moved up to smash a terrific knee-high volley high in the Arsenal net. 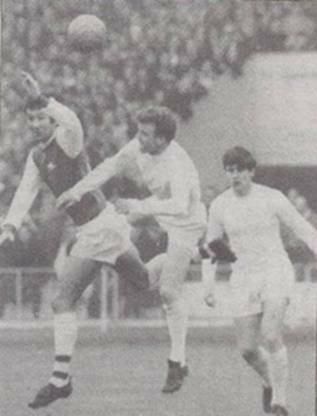 Arsenal were furious, claiming that Jack Charlton and Paul Madeley had baulked their goalkeeper Jim Furnell as he went for the corner. 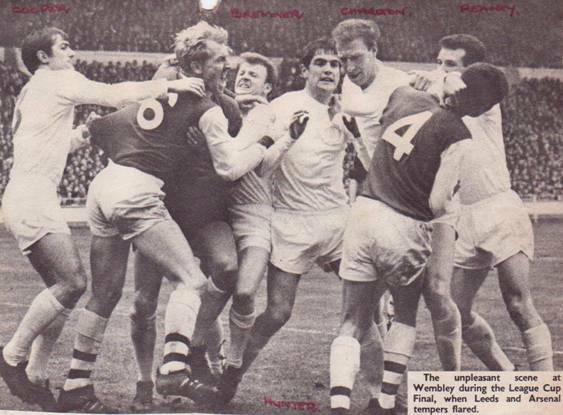 The ill-feeling over the goal appeared to set the tone for the rest of the bruising battle, which was punctuated by fouls and stoppages. 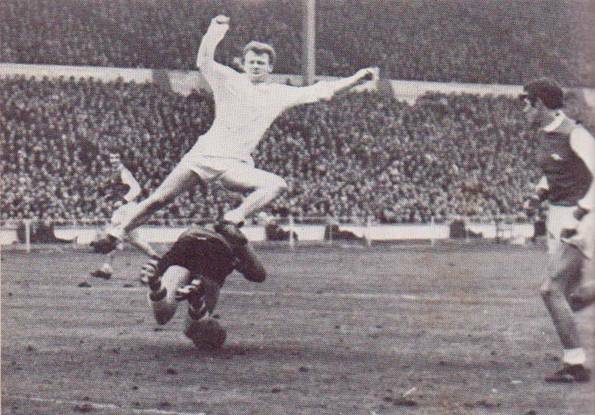 United seemed to have grounds for complaint when Jack Charlton appeared to be brought down by Jim Furnell but no penalty was given. 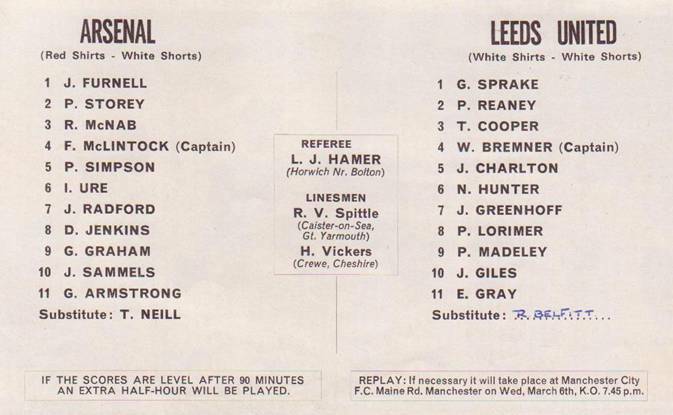 Half-time arrived with a free-for-all in the United goalmouth involving several players after Gary Sprake had been fouled and things did not improve much after the interval. 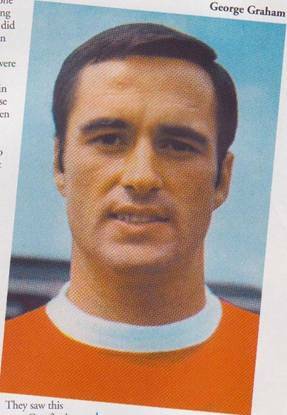 Having snatched a precious lead, United concentrated on the art of defence and Arsenal simply did not have the know-how to find a way past the likes of Paul Reaney, Norman Hunter and Jack Charlton. 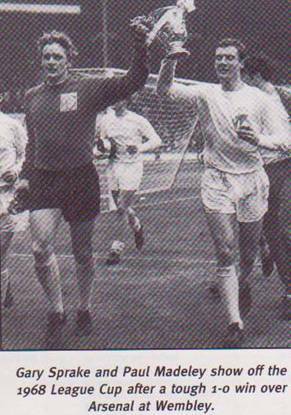 Gary Sprake’s only serious save of the match came when he turned a John Radford shot round the post late in the game. 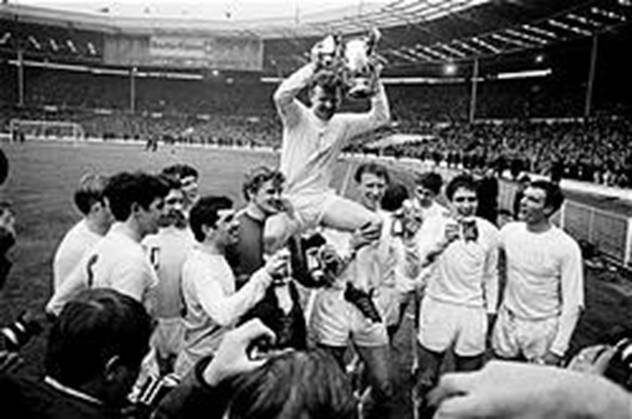 United, who had ‘play-anywhere’ star Paul Madeley at centre-forward in place of the Cup-tied attacker Mick Jones, found goal chances scarce and were content to play a game of containment. 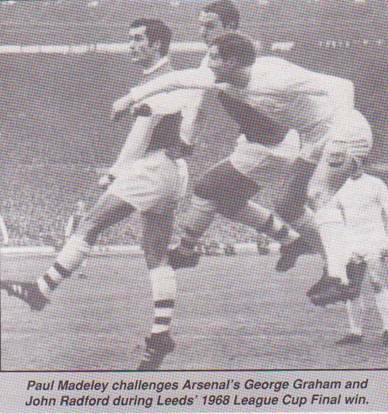 The Gunners lacked the fire power to trouble United’s water-tight defence and Sprake was left with little else to do than field crosses. 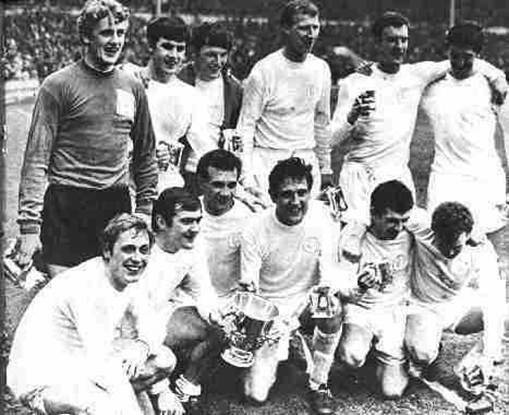 Although the match was disappointing as a spectacle, and was roundly criticized by the National Press, United had conquered a psychological barrier to win the first major trophy in the club’s history and also brought a trophy back to Yorkshire for the first time since Sheffield Wednesday won the FA Cup in 1935..
Bremner, Charlton and Madeley watch Terry Cooper’s shot enter the net.